Director’s Reflections…How Are We Doing? 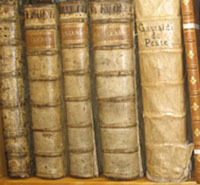 The Western Psychiatric Institute and Clinic (WPIC) Library closed permanently on December 19, 2008. The arduous task of moving the materials to new locations is nearly complete. The goal throughout the relocation process has been to retain the core psychiatric collection. 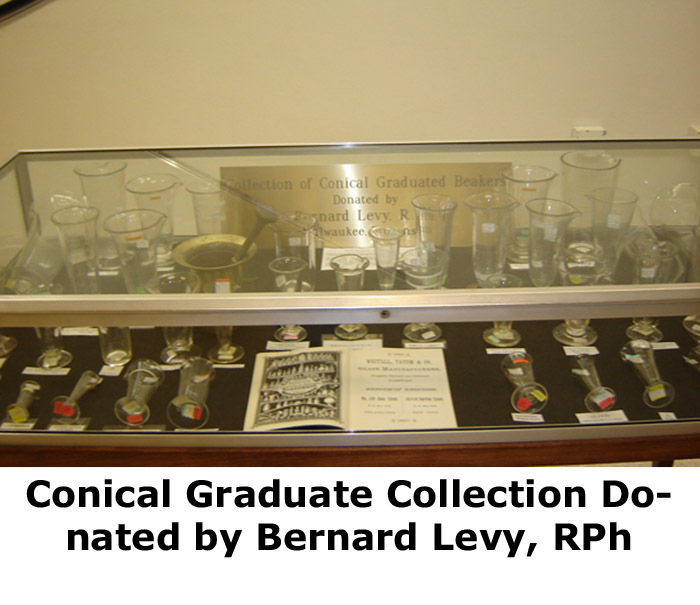 Glistening conical glass graduates from the School of Pharmacy’s Elmer H. Grimm, Sr. Pharmacy Museum are now on display in the lobby of Falk Library of the Health Sciences. Varying in size from a 50 minim graduate to one of 32 ounces, the oldest is one with the bottom marked “HODGSONS PATENT FEB.18, 1862.” A conical graduate is a glass cylinder or beaker, with graduation lines and markings to measure the volume of liquid, and in the past, has been the most used tool of the pharmacist in filling prescriptions.